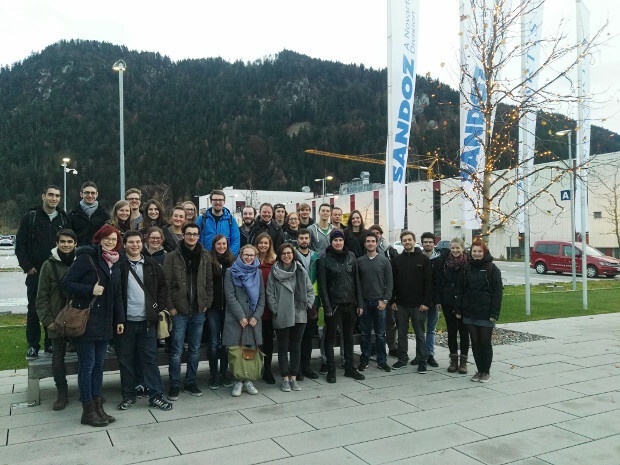 On Wednesday 23.11.2016 35 students in the fields of chemistry and pharmaceutics took a trip to Kundle to gain some insight into the pharmaceutical company Sandoz. Part of the Novartis-Group, Sandoz is a world leading specialist in the development of generics and biosimilars since 1886. The factory in Kundl was founded in 1946 as "Biochemie GmbH" and integrated into the Novartis-Group in 1964. To start off, a short introduction film of the company was shown at the Visitors Center. Digging deeper into the production of antibiotics we followed the most important steps around the premises. 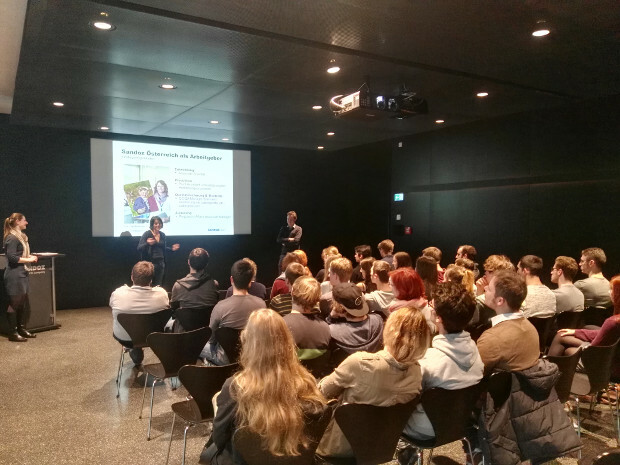 After the tour, two chemists answered our questions. They presented the difficulties and career oportunities in the industry. 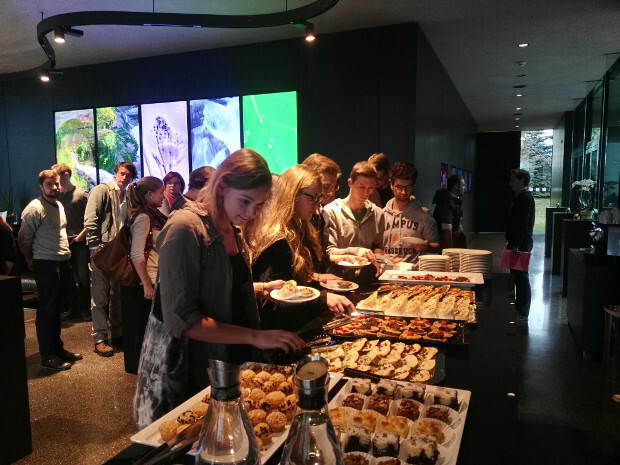 To finish our day at Sandoz we were provided with a delicious buffet.